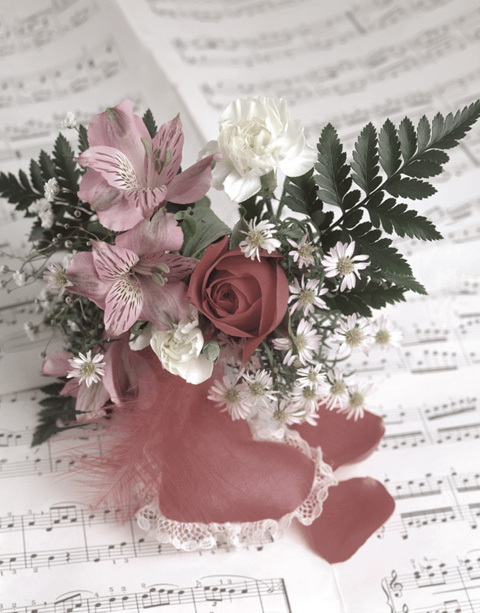 Exquisite Music & Service - Music that You Will Love! 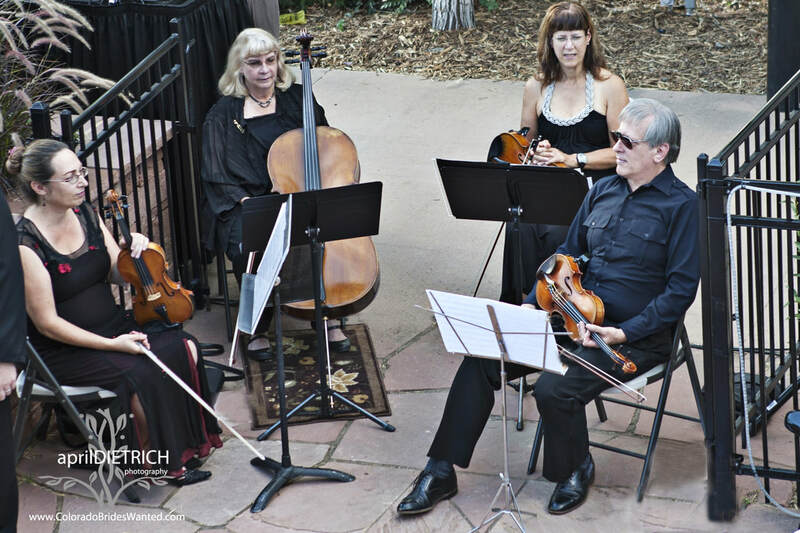 Ptarmigan String Quartet is a talented, diverse, energetic quartet that performs music for Weddings, Parties, Corporate Events, Holiday Parties, and other special occasions. Our clients benefit from our decades of experience and reliable, friendly service. 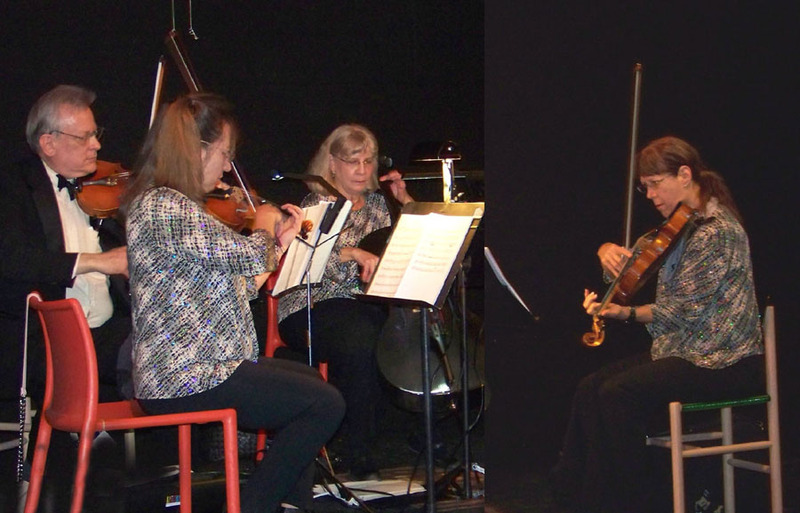 Our musicians perform as a String Quartet and a String Trio. A quartet of four cellos is also available. Ptarmigan performs many genres of music from Bach to Rock! We love to add a special touch and a fun, classy ambiance to our clients' events. People tell us they love our music. Over the past couple of decades, we have performed music for weddings and special events at hundreds of venues. Among them, you will find us recommended by event venue staff and on the vendor lists at many locations such as the Hotel Boulderado, Chateaux at Fox Meadows, Stone Mountain Lodge, Ralstons Crossing, Sylvandale Ranch, Della Terra Mountain Chateau. Ptarmigan String Quartet's Coordinator works with each client to develop a list of wedding and reception music that fits each couple's unique tastes. We are flexible and easy to work with, and when you need help, we are there. Phone calls and emails are answered promptly. If schedules allow, a musician from Ptarmigan will also attend each couple's wedding rehearsal to help assure a smooth and beautiful wedding ceremony. "Your music was truly magical!" "We enjoyed your breath-taking quartet!" "You made our wedding day a magical moment filled with glorious music!"